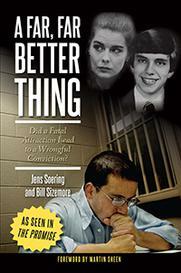 Amherst Co., VA - Call it a key piece of information in Jens Soering's quest to clear his name. A former Campbell County business owner has provided a deposition that could bring reasonable doubt in Soering's double murder conviction in Bedford County. Tony Buchanan calls it a revelation, 26 years after the fact. In an exclusive on-camera interview with reporter Jeremy Mills Friday, Buchanan swears he serviced a car for Elizabeth Haysom in his auto shop lot just weeks after her parents were killed. He says there was lots of dried blood and a knife in it and she was with another man. He says some of his memory is foggy, but Buchanan is certain he helped Haysom in the summer of 1985. And he's positive her male friend was not Soering. "Oh I am definite on that, that's when I jump off the roof and jump back, it definitely was not him," the former owner of ACS Transmission said. Buchanan says he's thought about the incident many times over the years and even made several phone calls to share the details. He says he did get a call back from the lead investigator in the case. "Whoever called me said he was Ricky Gardner and talked to me for about 15 to 20 minutes," Buchanan said. But Maj. Ricky Gardner with the Bedford County Sheriff's Office says it never happened. "Well I certainly would have certainly known if I ever talked to him and he told me this story, I would have remembered that," Gardner said. Gardner says it's one of many inconsistencies in Buchanan's story. He showed us the contract on the rental car he says Soering used to drive to the scene, and it's completely different than the one Buchanan recalls. "I've got the dates. I've got the times. I've got the pictures. I've got the evidence. I'm not going just on sole memory like some people that want to put themselves in the middle of this trial," Gardner said. Gardner says Haysom had already fled to Europe by the time she was supposed to be at the auto shop. Buchanan says he's sticking to his story because it's what he remembers. 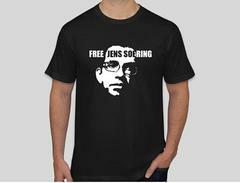 And he doesn't even care if Soering goes free. "It don't really make no difference to me because I don't know if he is innocent or not. All I do was passing the information on," Buchanan said. When it comes to that phantom phone call between Buchanan and Gardner, both men say they'll take a polygraph test to prove they're telling the truth. Buchanan did make it clear that he hasn't taken a penny for giving his deposition.